NO Pain, ALL Gain! Just launched this year, Real-Matte answers the question “do you have anything other than glitter? !” (typically asked of boys, teens and adults) Well, NOW we do!! 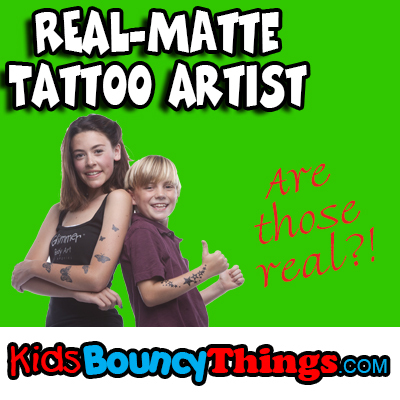 The Real-Matte Tattoo Color creates a real-looking tattoo without pain and permanence. Waterproof and lasting up to 3-5 days. Real-Matte dries in HALF the time!